Location: Paediatric Outpatients Department. Level 1, entrance via Kermode Street. Those who wish to take advantage of the catch-up clinic should contact Philippa Rokkas (Ph +61 8 8161 8117) specifying the date and a time they wish to attend. The student’s name and date of birth and school attended/ing should be included in the reply. The Training and Skills Commission is inviting Independent schools to respond to the Industry Priority Qualifications 2018 survey. The survey will inform the Training and Skills Commission’s independent advice to the Minister, and is one of the inputs into the Government’s skills investment plan. The survey should take 10-15 minutes and closes 15 July 2018. 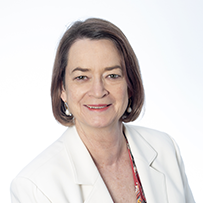 Registration information is now available for the Forum which will feature presentations from education specialists, national political leaders, including Senator, the Hon Simon Birmingham, the Hon Bill Shorten, the Hon Tanya Plibersek, and Senator Sarah Hanson-Young, and other thought leaders. In addition to the education measures announced in the 2018-19 Budget, a further Budget measure affecting school students in receipt of ABSTUDY was announced in the Social Services portfolio. The Government will provide $38.1 million over five years from 2017-18 for reforms to ABSTUDY for secondary school students. Further information is available in the Fact Sheet. 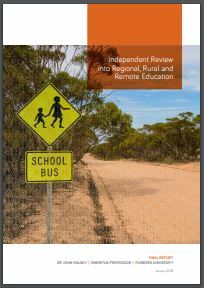 The Report from the Independent Review into Regional, Rural and Remote Education led by Emeritus Professor John Halsey has been released and is available along with other information via the Review website. The report makes eleven recommendations and suggests fifty-three actions as examples of how to progress them. The recommendations cover curriculum and assessment, principals and teachers, career education, early childhood and the importance of school readiness, expanding vocational education and training and university opportunities and pathways, philanthropy and entrepreneurship, information and communication technologies, improving the support available to move away from home and the importance of education to improving the economic sustainability of regional areas. Charles Leadbeater writer, social innovator, and advisor to the OECD Education 2030. Mr Leadbeater will facilitate a masterclass discussing notions of student agency, the origins and development of the concept, levels and aspects of agency, and genuine approaches to learning. 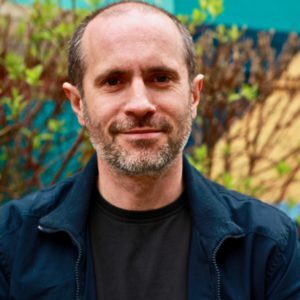 Michael Bunce, Head of Faculty for Performing Arts, University of East London will workshop student agency and the development of personal and social capabilities through multidisciplinary approaches to pedagogy and practice. He will utilise active and participatory approaches often reserved for the arts which have applicability to a wide range of learning areas. These are outstanding learning opportunities available to our project schools. Thanks to Pembroke School for hosting. The 2018 Governance conference at Pembroke School on Saturday 5 May is fast approaching! We are thrilled to have secured the services of Mr Charles Leadbeater, international writer and social innovator from the United Kingdom. Mr Leadbeater has been instrumental in shaping the OECD’s 2030 Education Framework and the Learning Compass 2030 which offer a vision and some underpinning principles for the future of education systems. . He will challenge Boards to consider their role in providing the type of education and learning approaches young people will need if they are able to successfully navigate an uncertain, complex and volatile world. We also extend a warm welcome to Mr Greg Whitby AM, KSG, Executive Director, Catholic Diocese of Parramatta, NSW. He has particular expertise in the way learning environments can support the development of new pedagogies. His keynote address School Learning Space Design – What do Boards Need to Know? will explore the planning and design of modern learning spaces and the ways Boards can ensure there is close alignment between future focused pedagogies and building redevelopments. Mr Anthony Mackay AM will once again facilitate the conference. Cost per individual participant is $125 (incl GST). Maximum charge of $1,250 per school.